Born and raised in Northern New Jersey, Dr. Peter J. Folliard began his studies in music at age four and aspired to be a conductor from the very beginning. With studies in the violin, piano, organ, voice, flute, trumpet, trombone and euphonium Folliard received his undergraduate degrees in music education and instrumental performance from the University of North Texas, master’s degrees in instrumental performance and conducting at the Peabody Institute of the Johns Hopkins University, and Doctor of Musical Arts degree in orchestral conducting at the Eastman School of Music. Following his master’s degrees, Folliard won his first conducting position with the United States Air Force Bands program. Upon earning his commission from Officer Training School, Folliard was assigned to work with the Air Force’s premier musical unit in Washington, D.C., The United States Air Force Band. 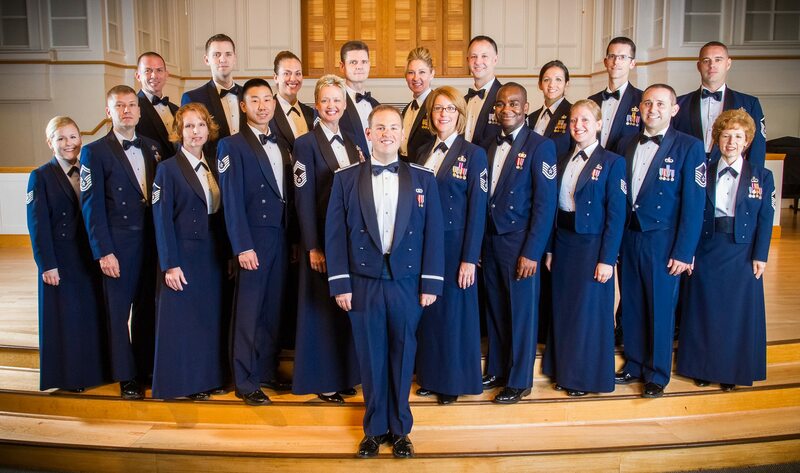 There, Folliard was appointed conductor of the Air Force String Orchestra and conductor of The Singing Sergeants. Additionally, Folliard served as the associate conductor with the Concert Band and Ceremonial Brass, and producer of the organization’s recording projects. Following his work in the Air Force, Peter was offered a teaching assistantship accompanied with a full scholarship to study at the Eastman School of Music with master pedagogue Neil Varon. There, he also held the position of Eastman Conducting Fellow with the Rochester Philharmonic. 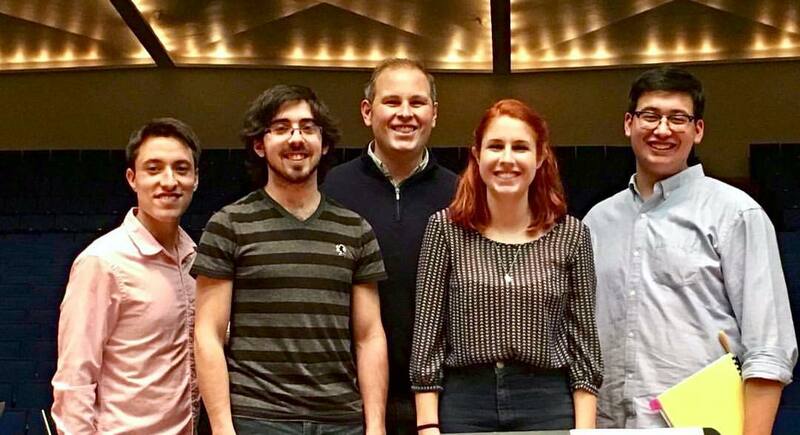 Peter currently serves as the Director of Orchestras at Augustana University in Sioux Falls, SD. Previously, he served as a visiting assistant professor at the Crane School of Music at the State University of New York at Potsdam, where he held a sabbatical-replacement position as Crane’s Interim Director of Orchestras for the Fall of 2016. Peter has also greatly enjoyed working with aspiring conductors at Crane, Eastman and Juilliard’s esteemed Pre-College division. Folliard is also a highly sought-after recording producer. With over twenty years of experience and over a dozen commercially available albums, Folliard’s skills as a conductor make him perfectly suited for this high-pressure work. Most recently, Folliard was asked to produce a recording session with the international opera superstar Renée Fleming, and has been the go-to producer for the Eastman School of Music’s orchestral recordings. Throughout his career Folliard has consistently been recognized as an outstanding leader, performer and educator. The University of North Texas selected Folliard as their “Outstanding Member” and “Bandsman of the Year.” The military consistently awarded Folliard for his work, receiving praise and awards for his “leadership, integrity, professionalism, team contribution and fellowship.” Eastman recognized Folliard for his outstanding dedication and excellence displayed in his teaching and awarded him their prestigious graduate teaching assistant prize. While his skills as a conductor, producer and leader continue to gain accolades, it is Folliard’s genuine and sincere approach to working with people that make him unique. He possesses the ability to adapt to his surroundings and communicates in a way that inspires the best from all those with whom he works, making Folliard a dynamic educator and clinician. Folliard’s passion and enthusiasm for people and music are infectious and uplifting. Folliard believes that the performing arts are a celebration of our human capacities. From imagination and creativity to hard work and self-discipline, the public expression of our complete range of emotions, from love and joy to fear and despair…all of this is meant to be experienced and shared.